IM HealthScience LLC IBgard Review - Does This Product Work? 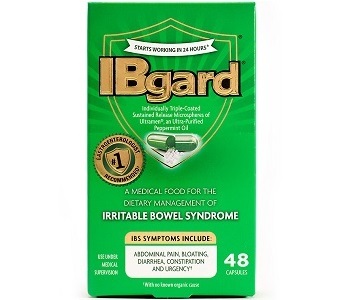 The focus of this review is for a product called IBgard. The aim of this dietary supplement is to help manage the symptoms associated with irritable bowel syndrome (IBS). It claims to help with urgency of bowel movement, abdominal pain, pain during bowel movement, diarrhea, bloating, and gas. The manufacturer claims that this product works gentle, though fast. Keep on reading to see if IBgard is an effective supplement that will help you and if it is worth a try. Each capsule is filled with an ultra-purified peppermint oil. 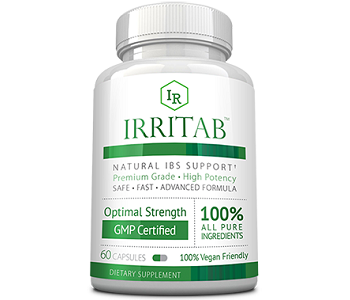 The manufacturer claims that this ingredient helps normalize digestion of food and absorption of nutrients, which have otherwise been compromised by IBS. The product does not contain BioPerine for increased absorption. Furthermore, it does not contain digestive enzymes for support in the digestive process. Lastly, it does not contain ingredients that help soothe the pain in the intestinal tract caused by the symptoms of IBS. One should consult your healthcare professional on the use of this product. Otherwise, the manufacturer suggests that adults take 1 to 2 capsules, as needed, up to 3 times per day. This should be taken at least 30 to 40 minutes before or after a meal and with water. Do not take more than 8 capsules within any 24-hour period. Users can swallow the capsules whole or mix the content in food or drink. It should not be chewed. Follow the instructions on the manufacturer’s website to locate an online retail store. Each store offers different prices. A box of 12 capsules starts at $9.89 and a box of 48 capsules starts at $25.99. The manufacturer does not offer discounts and there are no bulk packages for purchase. The manufacturer does not offer their clients with a money-back guarantee. This is quite a concern as first time customers will no be able to try the product and return it for a full refund if it does not provide the results it should. Customers are better of searching for an alternative product with a stronger guarantee. The risk should lie with the manufacturer. We were unable to find any evidence of customer reviews on the manufacturer’s website. We were able to find customer reviews on Amazon, however, customers presented mixed feelings concerning the effectiveness of the product. After this review we found a few things that we liked about IBgard. It comes in easy to swallow capsules and can be purchased from various online retail stores. We also found a few things that we did not like about the product which need to be addressed. First of all, the product does not contain BioPerine which helps increase absorption. The product also lacks the presence of digestive enzymes that help with the digestive process. It does not contain ingredients that provide soothing relief due to pain in the intestinal tract. A discount is not offered. Lastly, the manufacturer does not offer the customer with a money-back guarantee which leaves users at risk when purchasing a product. For these reasons, we do not recommend IBgard.